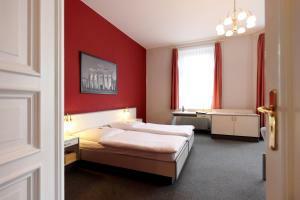 Located in Berlin Lichtenberg, this 3-star hotel is steps away from an S-Bahn city rail station, providing easy access to the Hackescher Markt district, Alexanderplatz square, and the ICC trade fair. 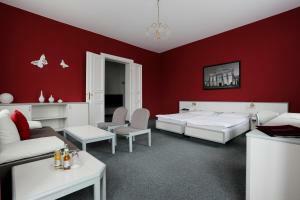 The family-run Hotel Nova is an ideal place to relax after an exciting day in Berlin. 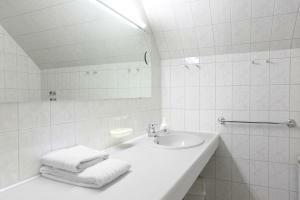 Guests will enjoy the peaceful and spacious rooms, a 24-hour foyer bar, and the friendly staff. 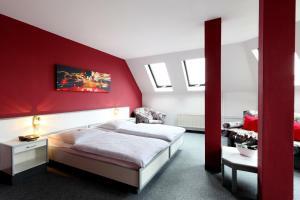 Popular attractions include the Brandenburg Gate, the Fernsehturm (TV Tower) and the vibrant nightlife of Friedrichshain. The Mercedes Benz Arena Berlin can be reached in less than 10 minutes using public transport. The Hotel Nova’s helpful staff will also help to organise theatre ticket reservations, sightseeing tours and car hire. Lichtenberg’s S-Bahn (city rail) and U-Bahn (underground) stations are just 10 metres away, connecting you to countless historical attractions within minutes. Please note that arrival after midnight is only possible upon request. Please note that the parking spaces are in the courtyard, and this can be difficult to access for large vehicles. A parking space can only be booked upon check-in.